Welcome to Georgia Spine & Neurosurgery Center. We have a convenient Midtown Atlanta location at Piedmont Hospital. The office phone number is (404) 299-3338. If you are seeing us for a spinal condition or for a nerve condition in your arms or legs, please use the Spine and Peripheral Nerve Packet. If you are being referred for a brain tumor or other cranial problem, please use the Brain Packet. Payment, including insurance co-payment, is expected at time of service. 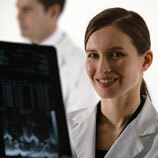 We will file your insurance for you if we are a participating provider of your plan. You will be responsible for any and all services in excess of your insurance limits as well as all non-covered services. If we are not participating providers of your plan, full payment is due at the time of service, unless prior arrangements have been made. 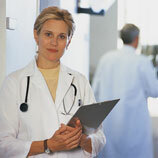 We will give you complete forms that will be accepted by your insurance company for reimbursement. We will mail you a monthly billing statement for any outstanding balances. Please make sure you bring the actual films, as the doctors will need to review your films personally. All of the medications you are taking at this time. Your insurance card and co-pay. Your referral from your primary care physician, if needed.